Dr. Randy Borum is a Professor and Director of Intelligence Studies in the School of Information (iSchool) at the University of South Florida. Prior to joining USF, Dr. Borum was an Assistant Professor at the Duke University School of Medicine. He has served on the DNI's Intelligence Science Board (ISB), on the Defense Science Board Task Force on Understanding Human Dynamics, and on the National Academy of Sciences' Steering Committee for Sociocultural Data to Accomplish Department of Defense Missions. He regularly teaches and consults with law enforcement agencies, the Intelligence Community, and DoD, and has authored/ co- authored more than 150 professional publications. 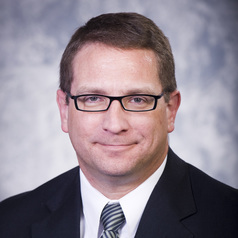 Dr. Borum has been an instructor with the BJA State & Local Anti-Terrorism Training (SLATT) Program since 1999, and worked as a Senior Consultant to the U.S. Secret Service for more than a decade helping to develop, refine and study behavior-based protocols for threat assessment and protective intelligence. He has previously served as a sworn police officer, Forensic Coordinator for a regional state psychiatric facility, and as full-time faculty. He has taught at the FBI Academy, FLETC; JFK Special Warfare Center and School (Ft. Bragg); Joint Special Operations University; CIA; and the US Army Intelligence Center and School (Ft. Huachuca). He was Principal Investigator on the "Psychology of Terrorism" initiative for an agency in the US Intelligence Community. He serves as an advisor to the FBI's Behavioral Analysis Unit-1 (Threat Assessment & National Security), the National Center for the Analysis of Violent Crime (NCAVC), the FLETC Behavioral Science Division, and is listed on the United Nations' Roster of Experts in Terrorism.